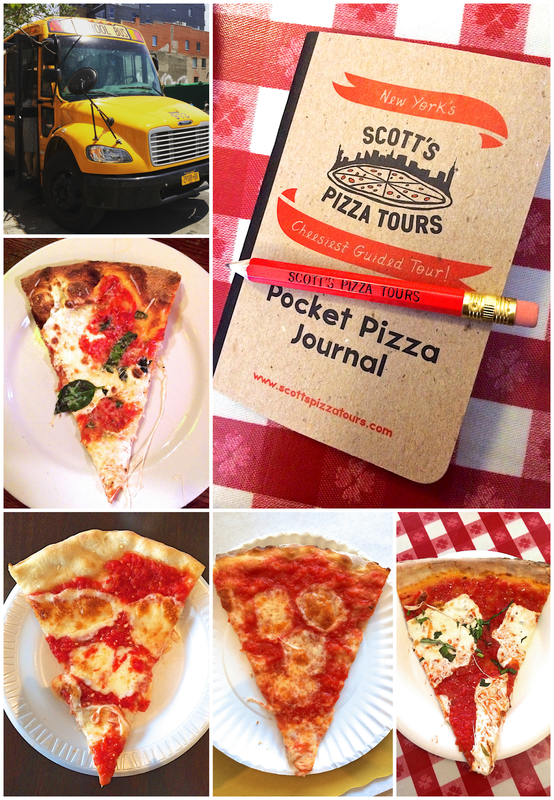 Scott's Pizza Tour NYC - a must do activity on your next trip to New York City. 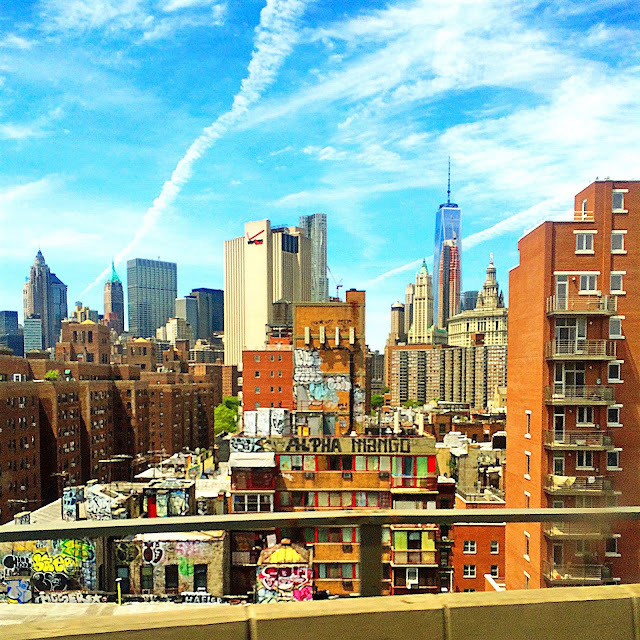 Do a walking tour or the Sunday bus tour. 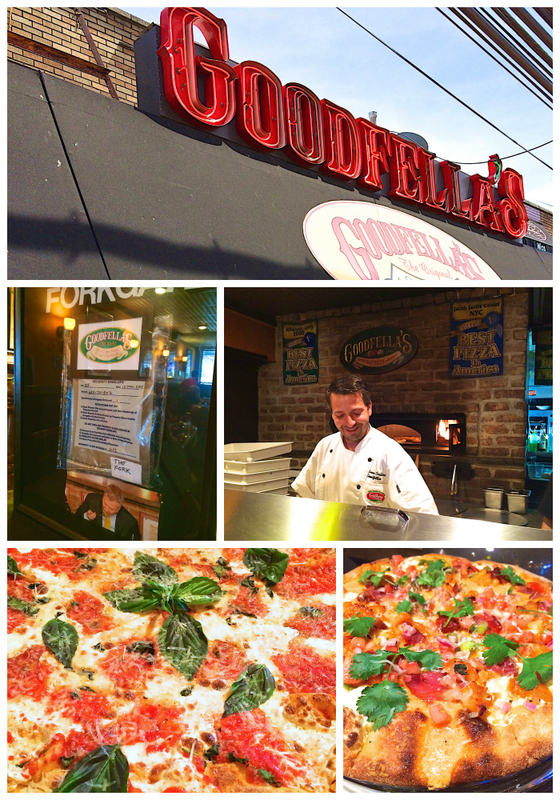 Great way to sample tons of delicious NY Pizza! 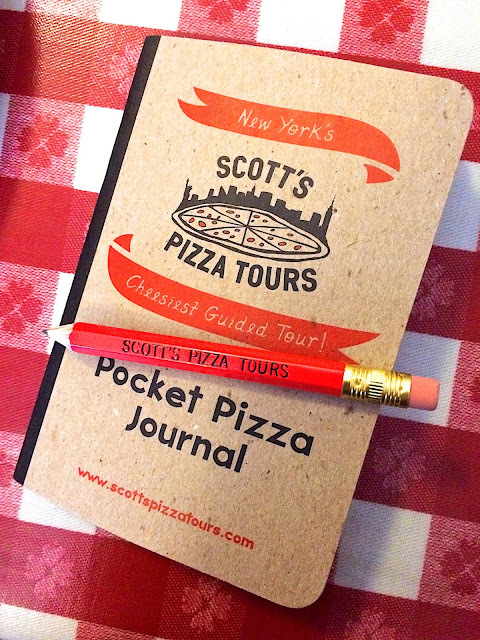 One of the highlights of our recent trip to NYC was going on Scott's Pizza Tour. We went on the Sunday bus tour. We started at Lombardi's and then got on a yellow school bus to Staten Island. The tour only goes to Staten Island twice a year - Memorial Day and Labor Day. We were there for Memorial Day. This was our first time in Staten Island. It is really nice - a little suburbia in NYC. I'd love to go back sometime. The tour lasted 4 1/2 hours. We stopped at 4 pizza places. We not only ate some amazing pizza, we learned SO much about pizza. We learned all about the cheeses, the dough and all the different types of ovens. For instance, did you know that cheese burns the roof of your mouth at 175 degrees?!? We will never look at pizza the same way. Keep reading to see where we went and what we learned! This is Scott. He is the owner of Scott's Pizza Tours and our tour guide. I actually met Scott earlier in the week in Louisville. We were both at the Papa John's event. He is SO nice and has the best personality. I have a feeling that he has never met a stranger. He is the most knowledgeable pizza person I've ever met. He knows more about pizza than you ever knew was possible. The tour started at Lombardi's Pizza in Little Italy. 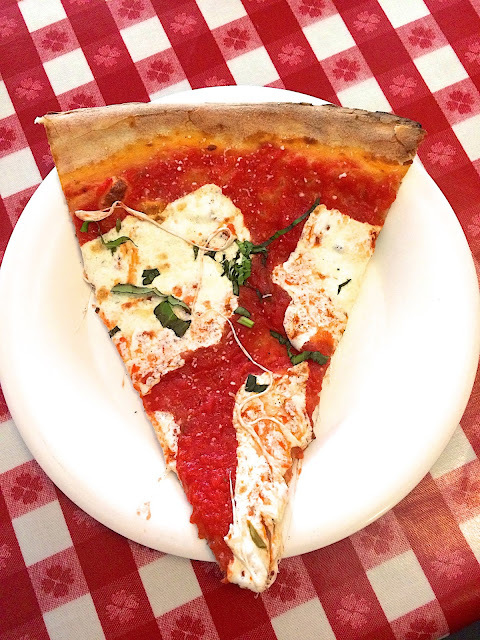 Lombardi's is the first pizza restaurant in the United States. The current location is not the original location. Lombardi's closed in 1984 and reopened in 1994 in this location. The old location is now home to Gatsby's Bar. 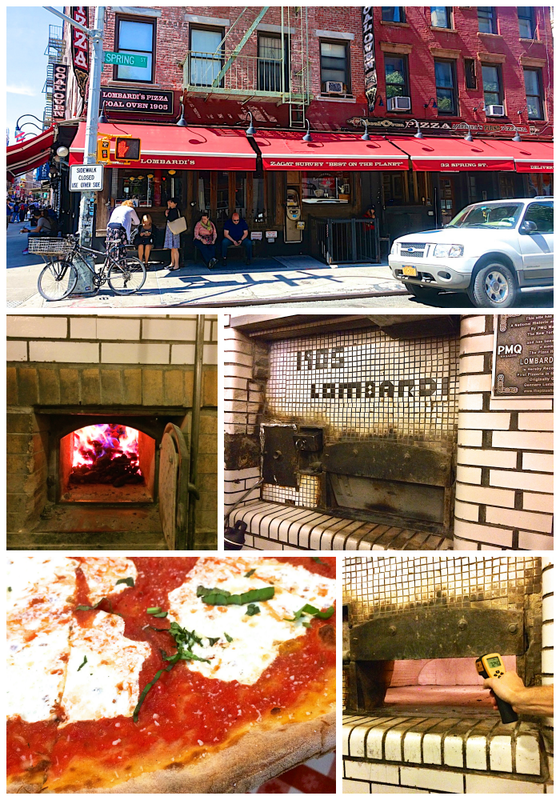 Lombardi's uses a coal fire oven. The oven is over 900 degrees next to the fire and over 700 degrees on the other side of the oven. Each pizza only takes about 3-4 minutes to bake. The sauce is just crushed California tomatoes. Everyone on the tour got one slice of pizza at each place. We ate cheese pizza at each location so we could taste the differences and not get distracted with the toppings. Lombardi's was good. They use fresh mozzarella. The crust was crispy on the outside and chewy on the inside. We both wanted more cheese! 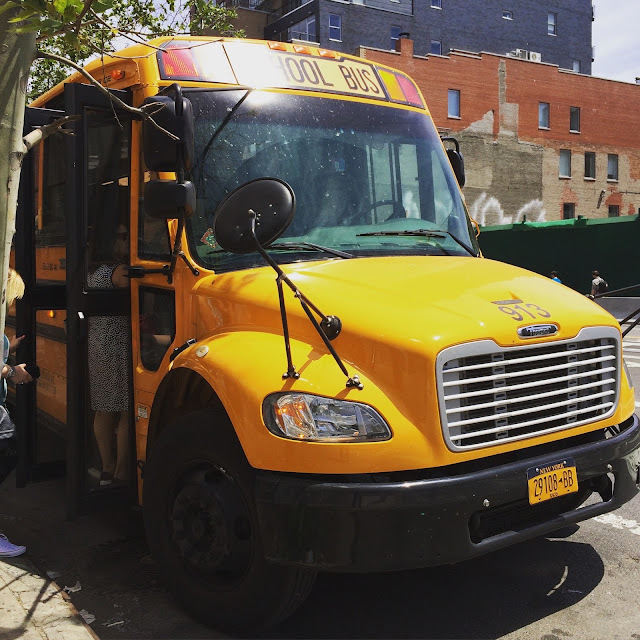 After we finished our slice at Lombardi's, we hopped on a school bus to Staten Island. We got great views of the city on the way. 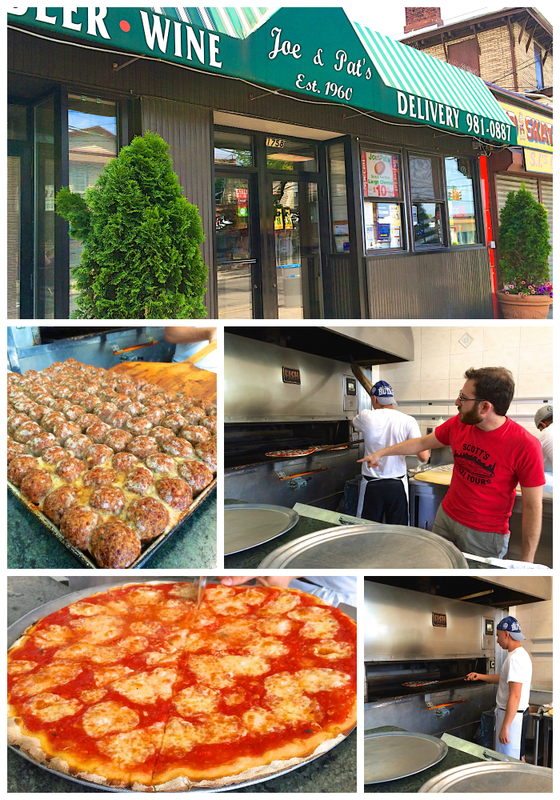 Our first stop in Staten Island was Joe and Pat's. Joe and Pat's used a natural gas rotary oven. The racks rotate inside the oven. The oven is an old bagel oven. It heats to 550 degrees. Each pizza takes about 7-8 minutes to bake. Joe and Pat's used low moisture mozzarella (regular mozzarella). The cut the mozzarella into cubes and bake it. Because the mozzarella was cut into cubes, it was less greasy. Shredded mozzarella has more surface exposed, so it will be greasier. I can't wait to try using mozzarella blocks on my homemade pizza. Joe and Pat's was probably my favorite slice of the tour. The sauce was crushed tomatoes. Since the pizza is baked at lower temperature, the crust was crisper than Lombardi's. The longer the pizza bakes, the more moisture that is removed from the dough. Lower temp = crispier crust. There was a good cheese to sauce ratio. Not as much as we would like, but good. It wasn't greasy. I was bummed I only got one slice! 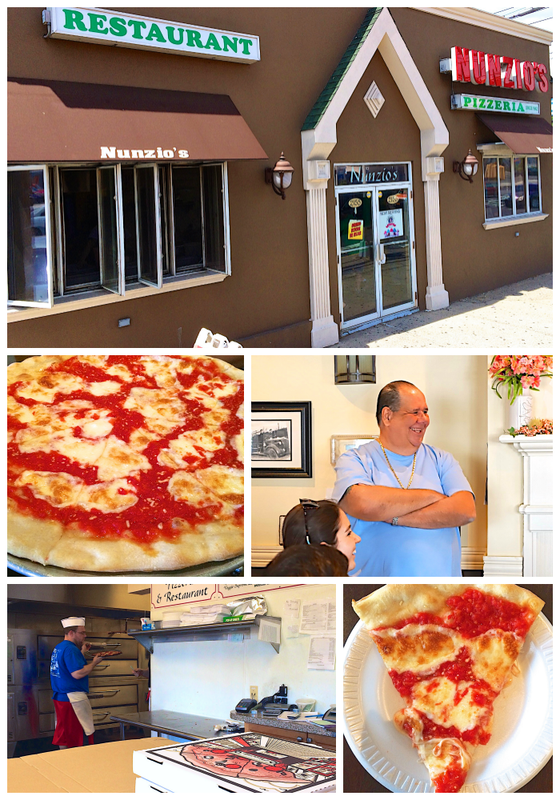 Our second stop in Staten Island was at Nunzio's. 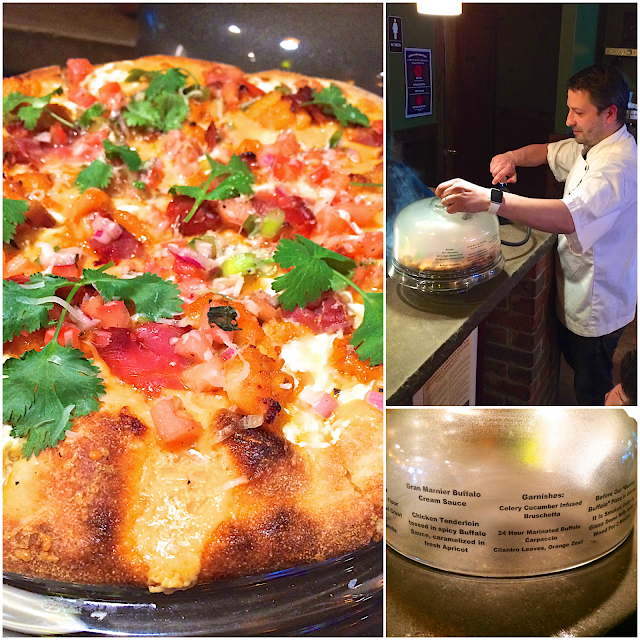 Nuncio's uses a gas deck oven - the pizzas are baked directly on the warm surface with the heat coming from underneath the surface. Joe from Joe and Pat's worked at Nunzio's. He left to start his own place. The owner came out to speak to us. He looked like he was straight out of The Soprano's! Nunzio's dough was different than the other two places. They use olive oil in their dough. We could all taste the difference. It was a bit more buttery that the doughs without the olive oil. Nunzio's had the most cheese. 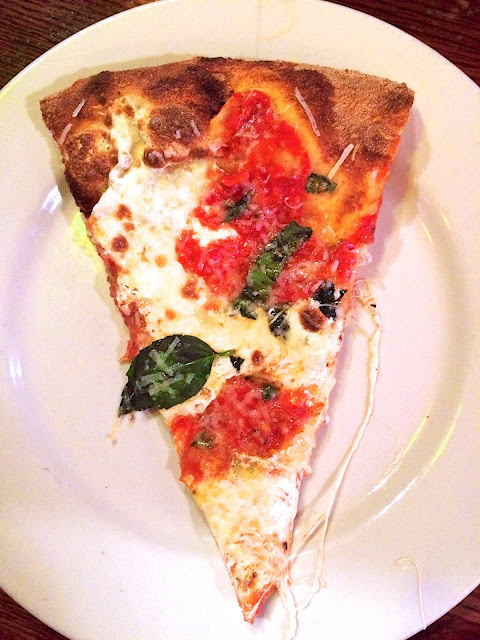 We really liked the cheese to sauce ratio on this slice. Like the other two places, the sauce is basically just crushed tomatoes. 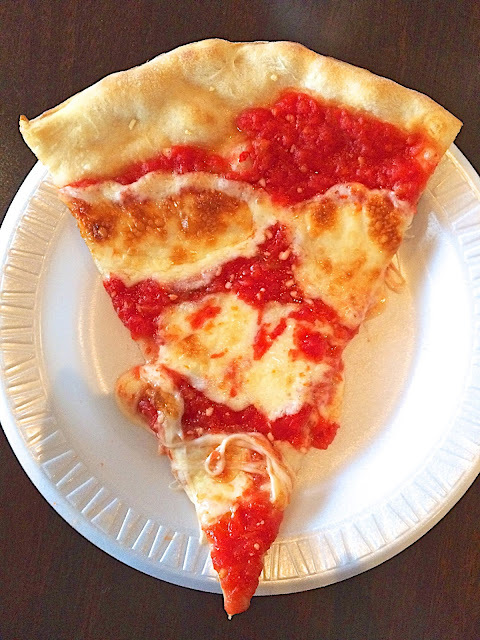 This is how I ended up ranking the pizza slices - Joe and Pat's, Nunzio's, Goodfella's, Lombardi's. It was hard to pick a favorite; they are all better than anything we have in Alabama. Chicken Legs and I had the best time on the pizza tour. We learned so much about pizza. We now look at the underside of the crust and check out the ovens. We ate pizza in Atlanta last week, and Chicken Legs went to ask about their ovens. We are getting serious about out pizza! We are going back to pizza places in town to check them out, now that we are officially pizza snobs. 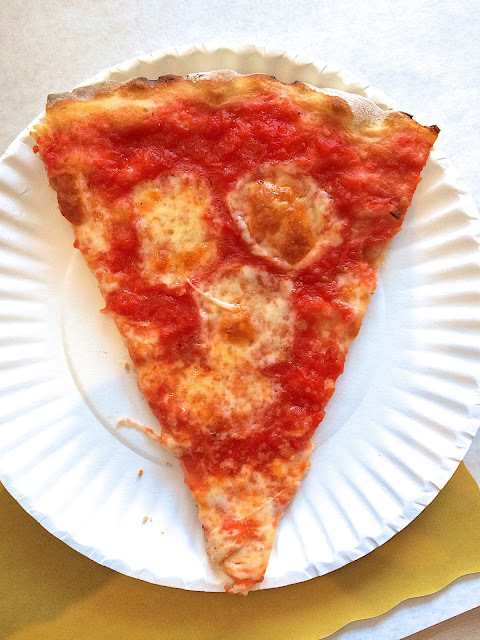 If you go to New York, you MUST do a pizza tour. 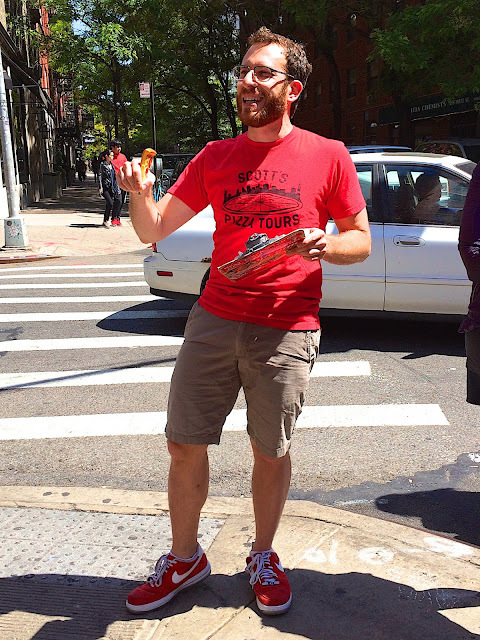 In addition to the Bus Tour, Scott does walking tours all over NYC. Scott's Pizza Tours also does private tours. 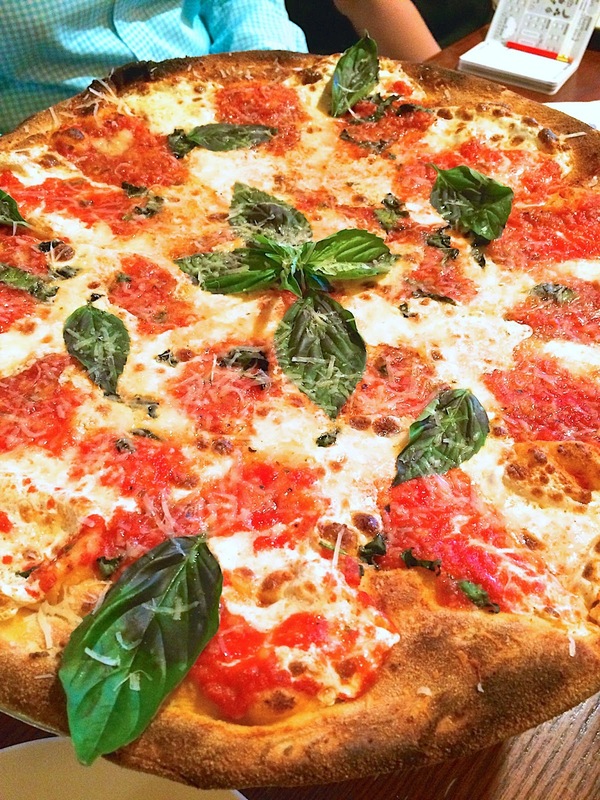 We will definitely be doing another pizza tour on our next trip to NYC.